Today I have a special treat, courtesy of a friend of mine! 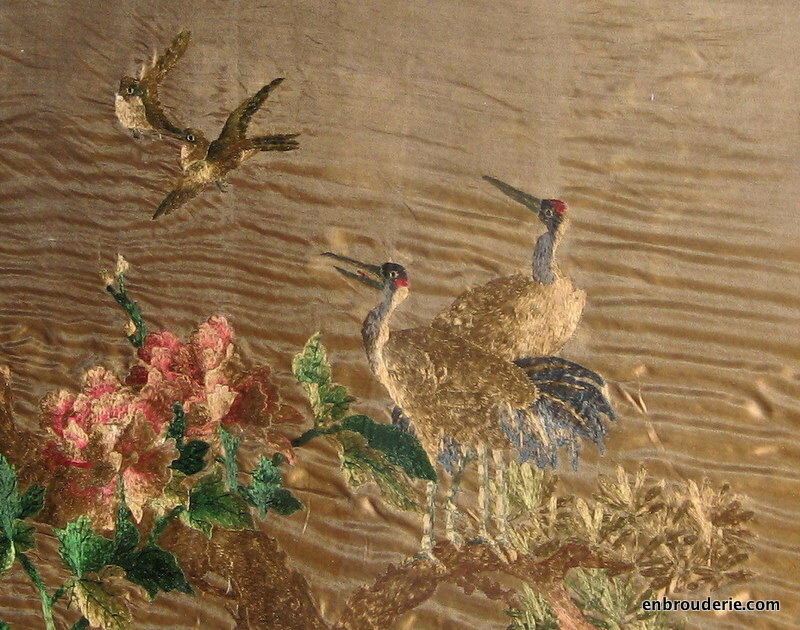 He bought what he thought was a painting, but when it arrived it was an embroidery. 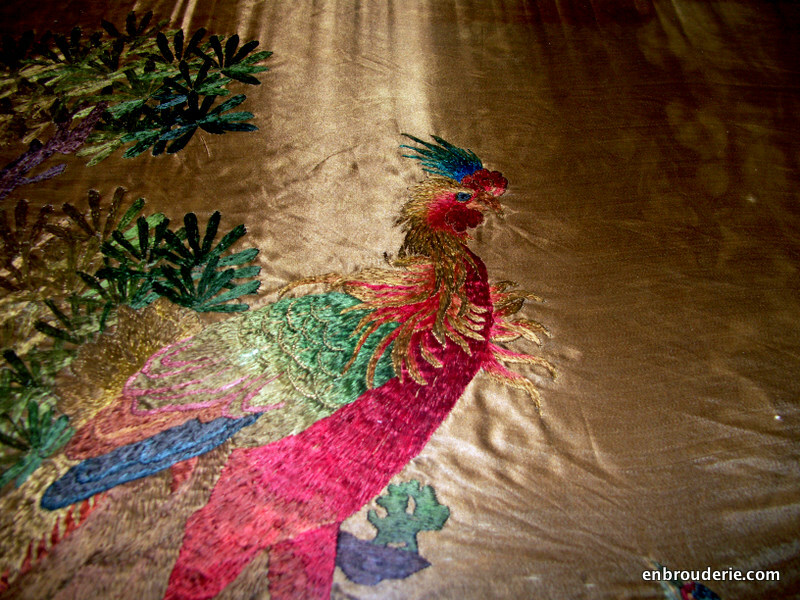 It’s about four feet long and is silk. 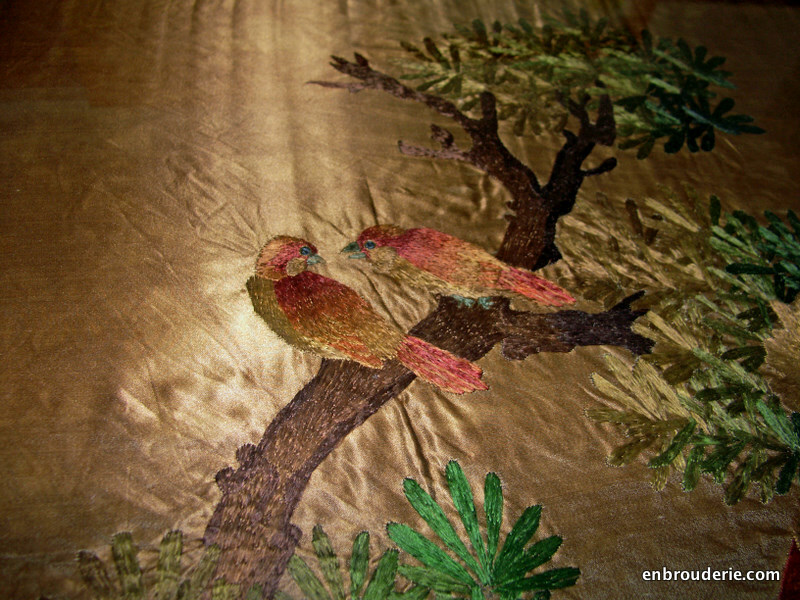 He sent me some photos but you know, silk behind glass is tricky to photograph. You can see the shimmer in the next photo. I asked my Dad to do some research, and he reports that this is a traditional illustration of the Five Relationships of humanity. The characters 五伦图 mean “Five Ethics Graph,” and you can find more examples of this type of art here (using Google Image Search). 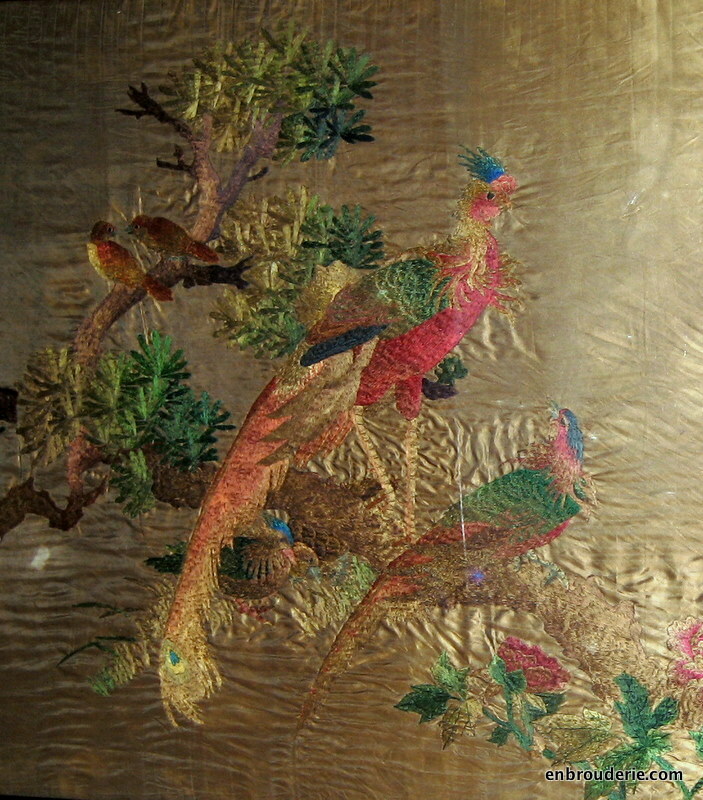 The ancient tradition is that there are five major relationships, and these are often symbolically represented by bird pairs. 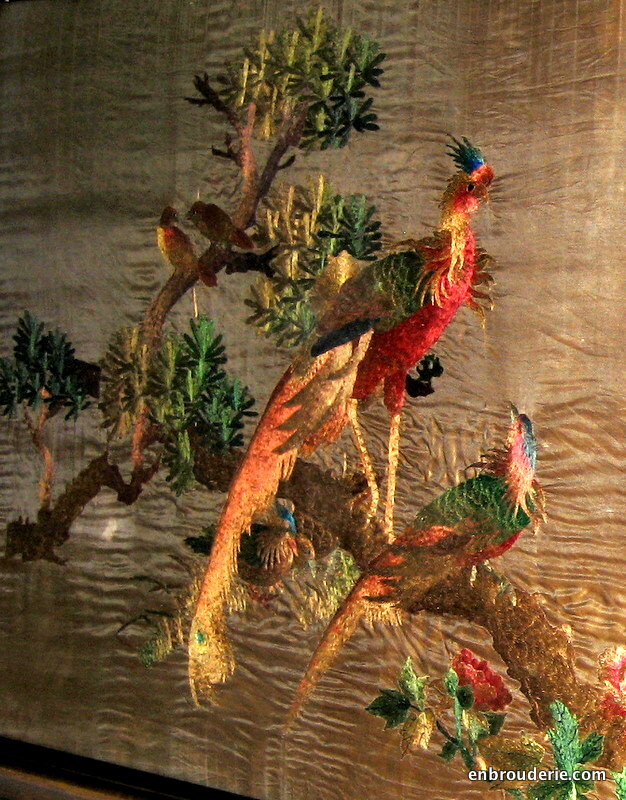 The largest pair involves the phoenix, and represent the relationship between ruler and subject. I think that’s a pair of mandarin ducks at their feet, which are famous for mating for life and therefore represent love. Cranes represent father and son and wagtail pigeons are elder and younger brother. 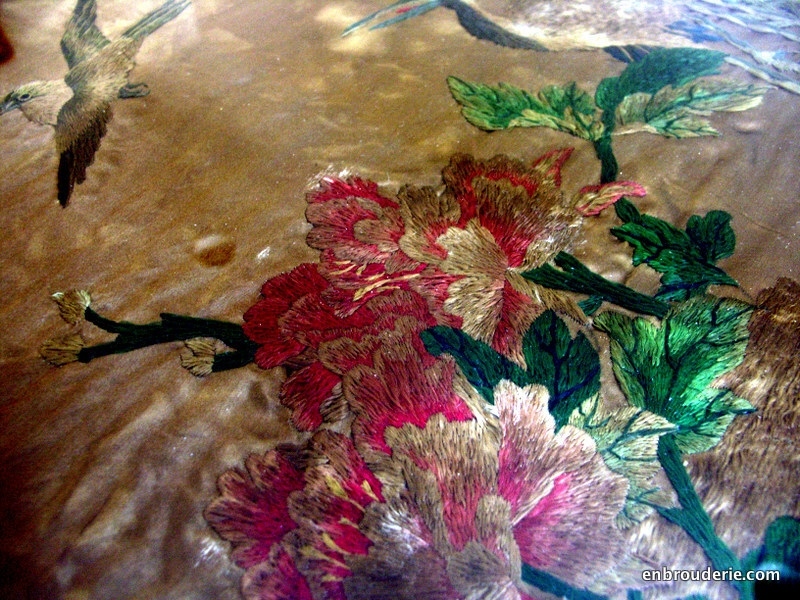 Here is another photo with details of the stitching in the flowers. Keep in mind, the whole thing is about four feet long. So much work! 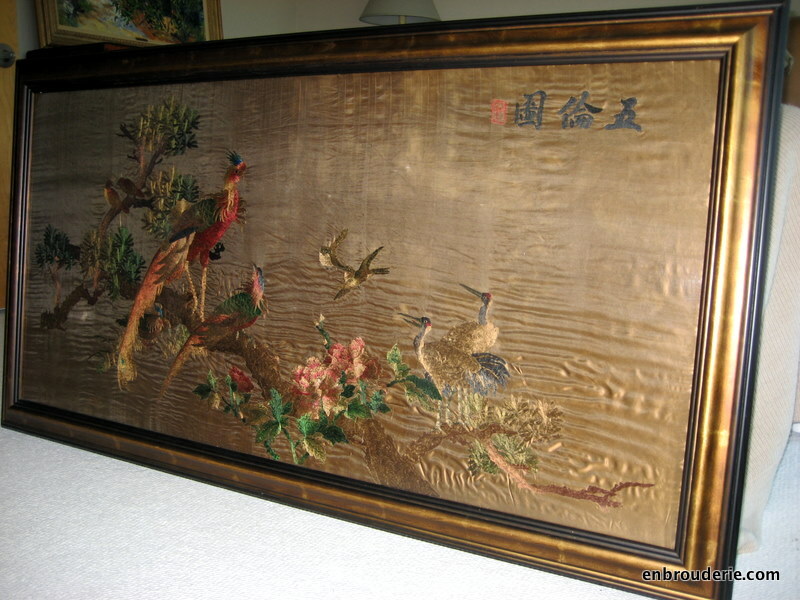 This entry was posted in Embroidery around the world and tagged chinese silk embroidery, embroidery, five relationships, 五伦图. Bookmark the permalink. Yes, fabulous indeed, and so much work! Amazing and yes,so much work…! Interesting info.Thanks to your dad Hannah. 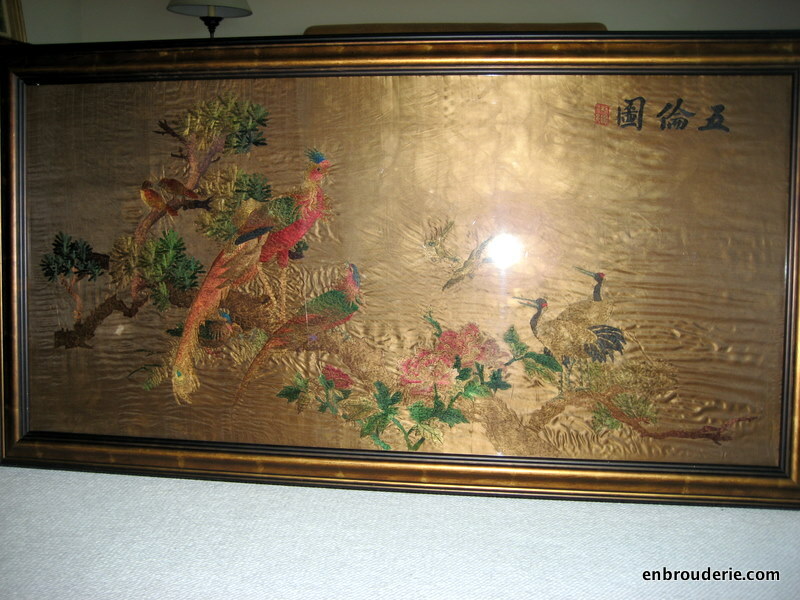 I hope this was a huge inspiration to you in your own Chinese needlepainting. It’s gorgeous. Yes, I definitely want to take some lessons.